Although cleaning is usually straightforward, and in most cases shouldn’t have unnecessary complications, this doesn't mean that people still don't need some form of training to get going. Even the basics of carrying out safely, doing it the right way, and using the right equipment and substances should be explained to some degree. Cleaning your freezer is one of those tasks in the home that often gets forgotten, but if done regularly it can pay dividends. In addition to making it easier to find things when you want them, you’ll also be giving your freezer the chance to perform more efficiently. It’s easy to do and once you’ve gone through it the first time, the next time becomes a lot easier. Follow these simple steps to get your freezer clean. 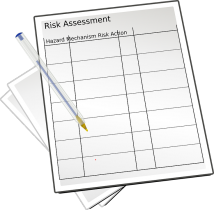 Completing a risk assessment for any cleaning activity is part-and-parcel of other compliance requirements that we detail here, and of course typical in all other property services as well. 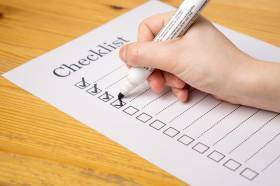 Although they can come across as overkill and just a tick-box exercise, the principle is very important in that you’re trying to detect potential issues and risks that may cause harm, whether affecting the actual cleaners or others in the nearby area. Most businesses and organisations nowadays have some form of office use that will inevitably get messy and need cleaning. Even, say, a tradesman where the majority of their work is out with the tools, will include some administration invoice work at a desk back home.